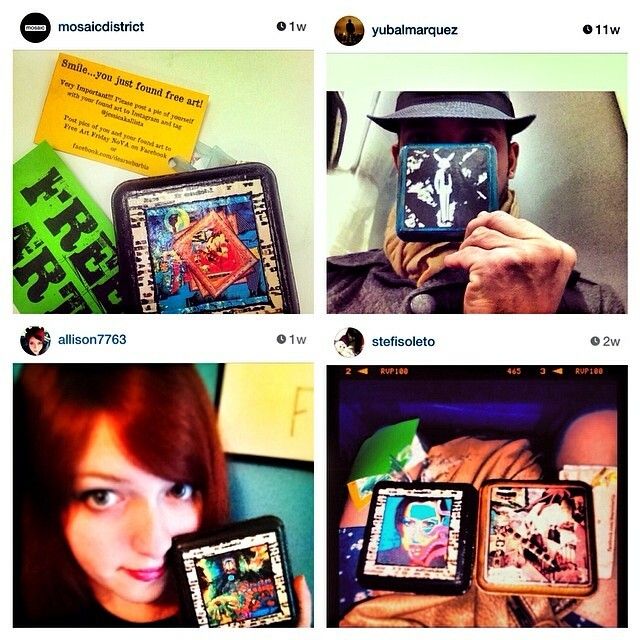 This week marks the one year anniversary of my very first Free Art Friday drop. Letting go of that first piece was an anxiety filled experience. I honestly did not believe I would ever put another piece of free art out into the world. The entire process stirred up so many questions and debates within myself (and a bit of debate outside of myself as well). Would this helpless little piece of art be safe? Would it find a happy art loving home? Am I crazy to keep giving away art? Who owns art? What is ownership? How are artists connected to the communities in which they live and work? Can the surprise of finding a piece of free art on a sidewalk or a park bench disrupt the isolation experienced by many people living in suburbia? Soon enough, however, the second piece was out there in the world, and then the third. I kept making the pieces. I remained determined and dedicated to placing these pieces out in the world for anyone to find. Through the year my world changed in ways that I never could have imagined. With more than 50 art drops over the past year, I am grateful for all of the love and art, for the amazing friends I’ve met along the way, and for the incredible opportunity to learn about chance, interconnectivity, love, and surrender. 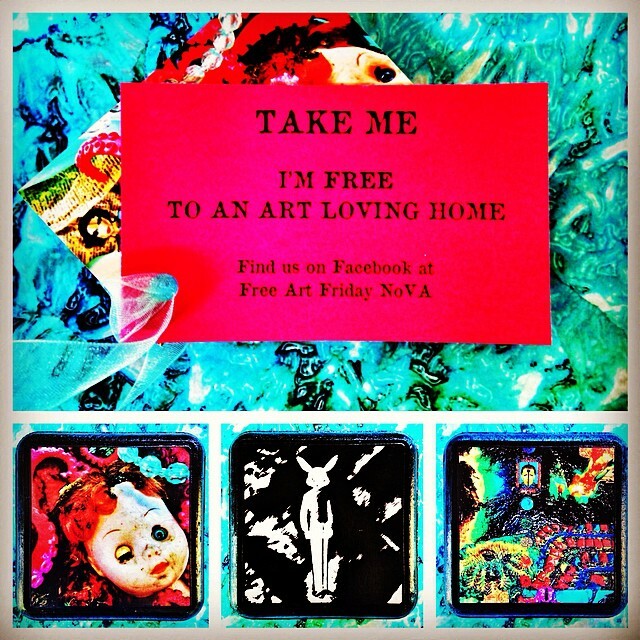 To celebrate my one year Free Art Friday anniversary, today in Fairfax I’ll be placing three of my little lovelies out in the world for anyone to find. Keep a look out! 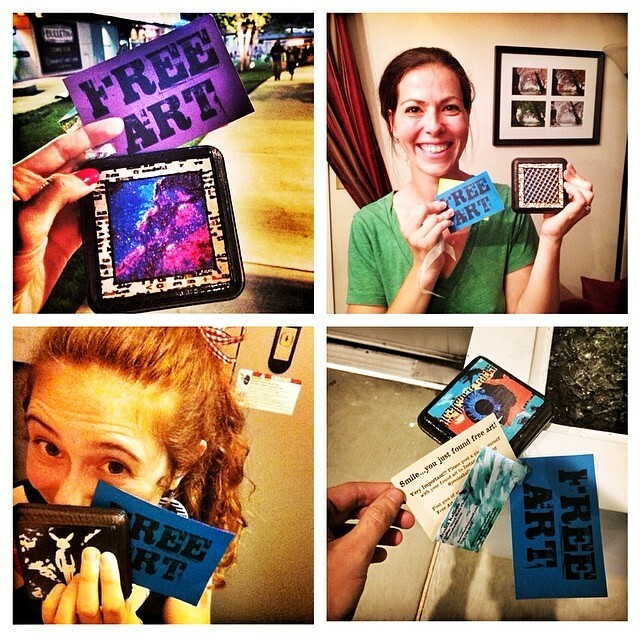 Happy Free Art Finding!